There are several bundles of fibers in the center of this field of view. The "z" direction of the compensator plate is perpendicular to the long axis of most of the fiber bundles. 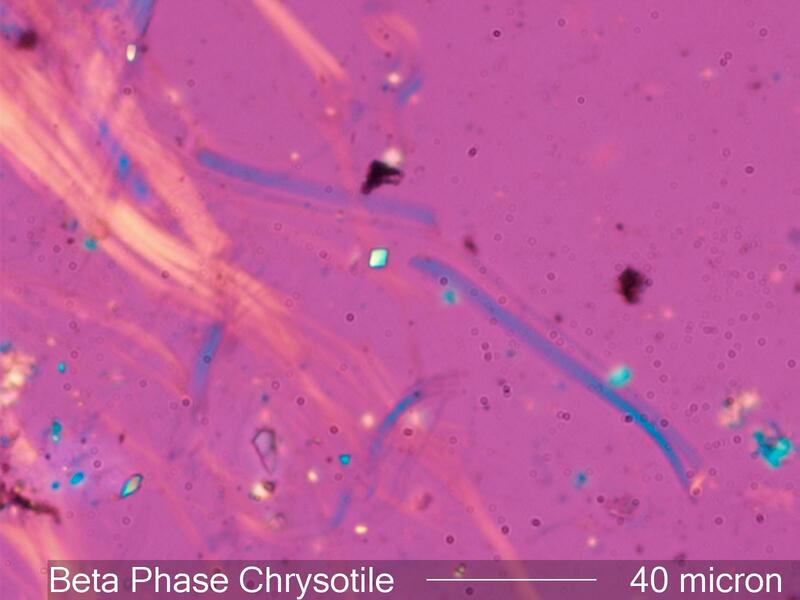 Alpha-Chrysotile turns blue because the high refractive index is perpendicular to the length of the fiber and so aligns with the high refractive index direction, "z", of the compensator. The typical Chrysotile turns yellow because the high refractive index is parallel to the long axis of the fiber and the long axis is perpendicular to the high refractive index, "z" direction, of the compensator plate. These fibers are mounted in a 1.550 refractive index oil so there is little edge definition (relief).